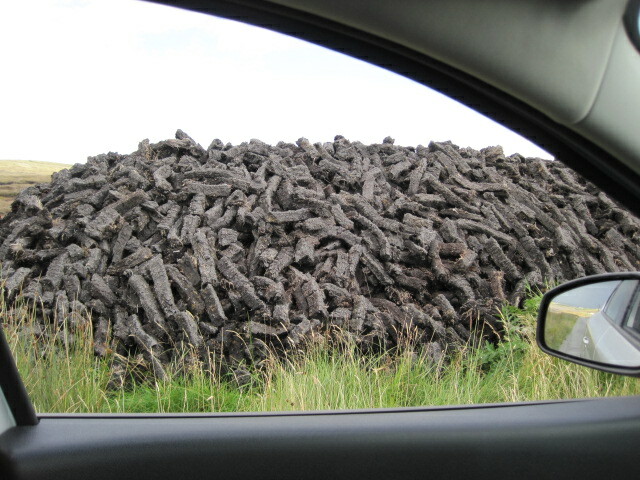 This is peat. Essentially it is plant matter than has been compressed and preserved in a bog over thousands of years. It doesn’t rot because of the high water content of the soil. 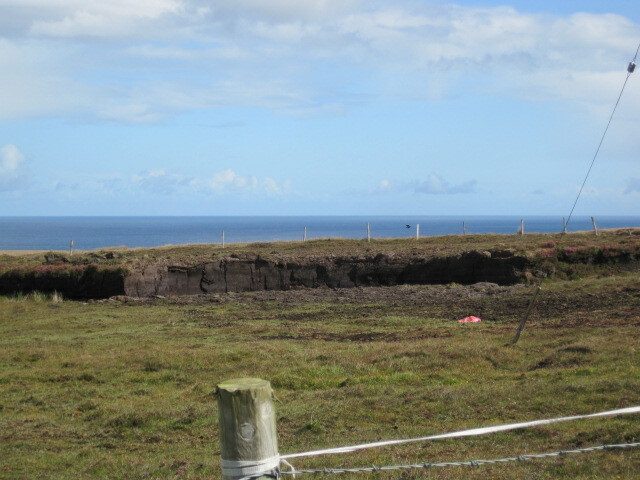 Farmers cut the peat from a bog like this one. They lay it in the sun to dry, then bag it up or transport it in a truck. 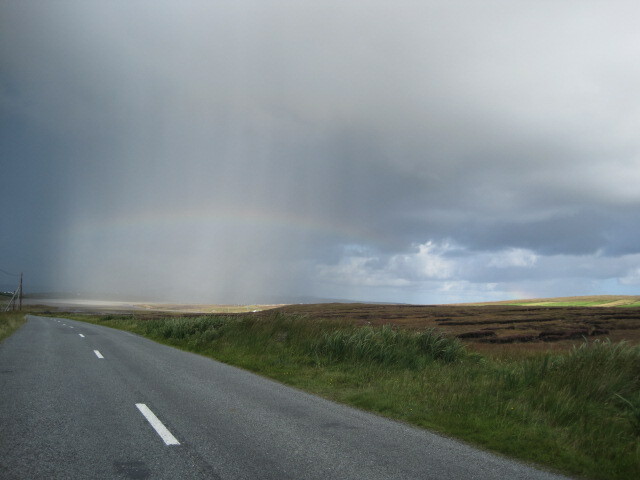 Many Irish burn peat to heat their homes. In the grocery store I saw some compressed peat, which seemed to be a bit like one of those duraflame logs, not quite wood but something like it. 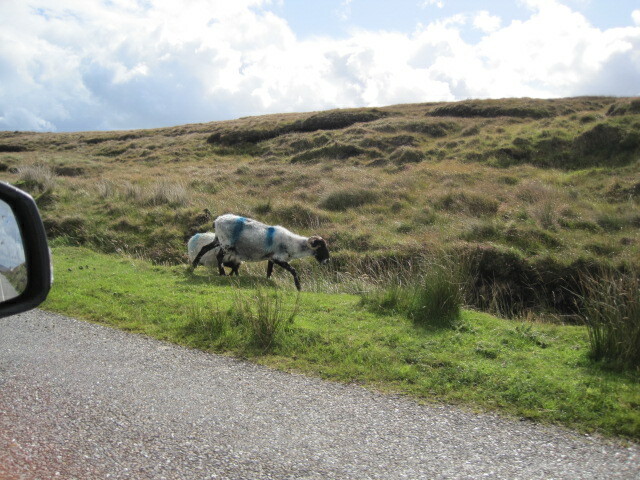 As I headed further north, there were many more sheep on the road, as some areas don’t have fences. 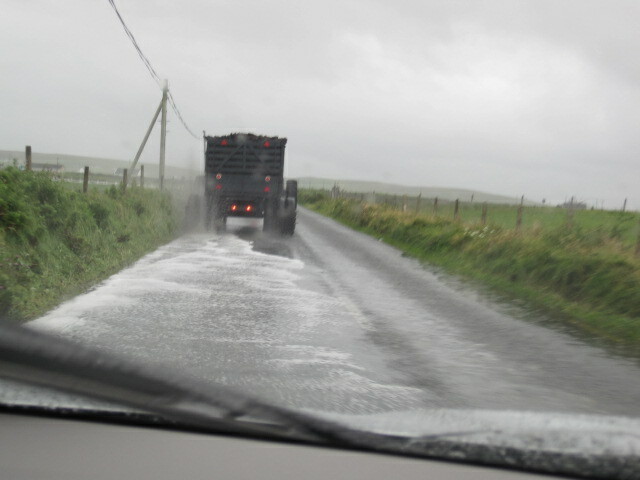 Supposedly at night there are a lot of accidents because they sleep on the road. 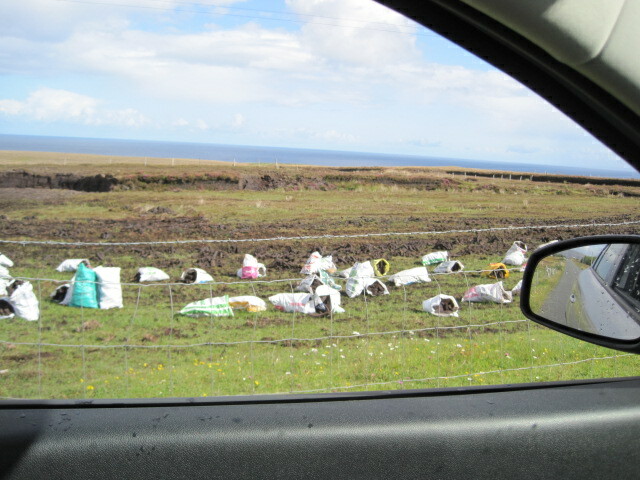 The asphalt retains heat from the sun and the sheep like to curl up on it.